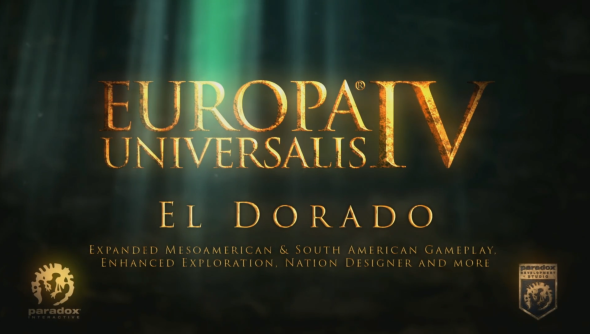 The fourth expansion to Paradox’s grand cultural strategy game, Europa Universalis IV, is in the works; dubbed “El Dorado”. It will focus on the Spanish conquest of the Aztec empire, and includes new religions such as the Nahuatl, Inti and Mayan. With the promise of gold, pirates will be on the prowl to plunder unsuspecting and greedy traders, but can be combated with new trade fleets. It’s due out next month, but you can check out the teaser for the new expansion below. Paradox’s synopsis of El Dorado sounds as promising as the fabled “city of gold”. Here’s what you can expect in the features department. If you’re already salivating at the sounds of El Dorado, you’re in luck: Paradox have said that it’ll be out by next month, for Windows, Mac and Linux. And if you’re quick enough, you can catch a Paradox stream previewing the game right now.